Mr. Fox is an AV-rated trial attorney with a focus on personal injury and civil litigation disputes. In his many years of experience as a Las Vegas personal injury attorney, Mr. Fox strives to become a better attorney for his clients. 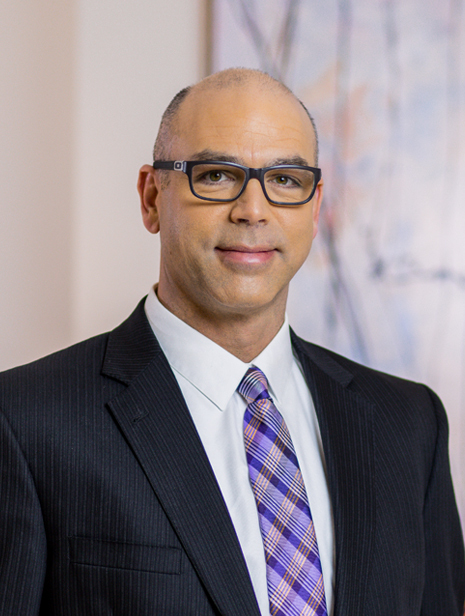 He has attended some of the premier legal training programs, including the National Institute for Trial Advocacy, as well as training with the Trial Lawyers College and other respected educational organizations. Mr. Fox was admitted to the State Bar of Nevada in 2004. After law school, he served as a law clerk to the Honorable Judge David A. Wiseman in the Commonwealth of the Northern Mariana Islands. Thereafter, he clerked with the Honorable Ron Parraguirre at the Eighth Judicial District Court and also at the Nevada Supreme Court. After gaining the significant experience offered from clerking at both the trial court and appellate court levels, Mr. Fox joined a prominent local law firm and practiced successfully for many years there. He now brings the litigation skills he learned as a law clerk and practicing Las Vegas accident attorney to Cogburn Law Offices. Mr. Fox has authored legal articles related to commercial real estate, non-compete agreements and offers of judgment. While at the Nevada Supreme Court he learned the inner-workings of the State’s highest court and regularly applies the knowledge he has gained throughout the stages of any case. As a self-proclaimed “Air Force Brat”, Mr. Fox got to experience the world at an early age. He graduated high school from Leysin American School in Switzerland and attended a branch of the University of Maryland in Munich, Germany. When not working hard for clients, he spends time with his wife and two kids. He enjoys playing sports, watching movies and travel.